Last week, my family and I travelled to Palmyra, New York. We visited numerous LDS history sites, even walking the winding path clear to the top of Hill Cumorah! As mother to my tribe, I had planned ahead for our visit to the Sacred Grove by packing our journals so everyone could quietly write down their thoughts while in such a sacred place. It took a little maneuvering and making sure that my youngest two were separated while they wrote to help everyone feel the Spirit. For myself, I went hoping for a modicum of peace, maybe even an acknowledgment from God that He knew my struggles these last few months. My experience was nothing like I expected. I expected to feel peace. 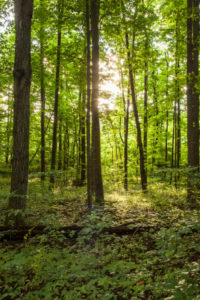 The peace felt in the Sacred Grove is deep and vast—like an ocean of peace that you simply cannot find the bottom or end of. 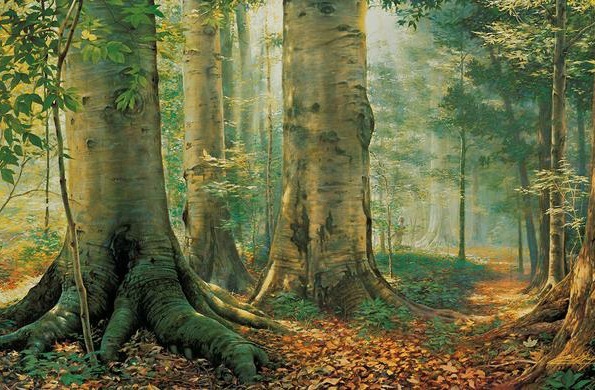 I have walked in temples and felt a measure of God’s majesty, but those experiences were nothing like the vast, almost overwhelming, feeling I felt that evening in the Sacred Grove. “Be still and know that I am God” seemed to reverberate through my soul as I sat. I felt surrounded by Him on every side, in every atom around me and in the vast reaches of space—it is really hard to put this feeling into words—God is everywhere. I’ve been struggling to feel known of God, not because of Him, but because I have forgotten Who He Is. He is the Lord God, Creator of All Things. For too long, I’ve been struggling against myself—needing to get out of my own way—so that I could see God in everything around me. This experience has caused me to be more humble as I approach God in my prayers and scripture study. Instead of looking for validation, I am seeking to understand His will for me. I am praying to know what He would have me do. I am asking for His wisdom to help me sift through all of the demanding pulls to know where my priorities need to be and where my mental focus needs to be. Joseph Smith felt overwhelmed by all of the competing religions and pondered for a long time which church to join. What questions are you struggling with? What are you feeling pulled in different directions about? I have to laugh aloud in commiserating validation when I read the final words of this passage, “unless I could get more wisdom than I then had, I would never know”. Who has not felt like they were simply ill-equipped to face whatever life was handing them? All of us definitely need more wisdom to help guide us through life’s twists and turns. I have dozens of competing demands on my time lately, yet I have still felt unknown by God. Again, not because He had forgotten me, but I had forgotten HIM. I had forgotten the vastness of His power. I forgot to ask the right questions of God. 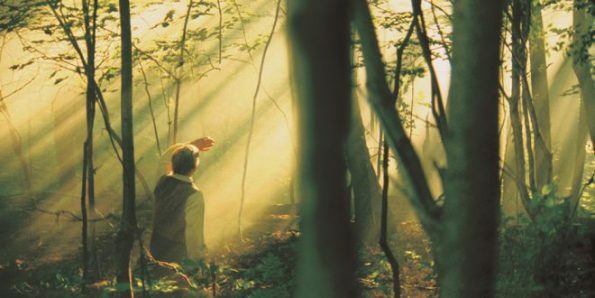 Joseph Smith pondered for a long time before he had his moment in the Sacred Grove. 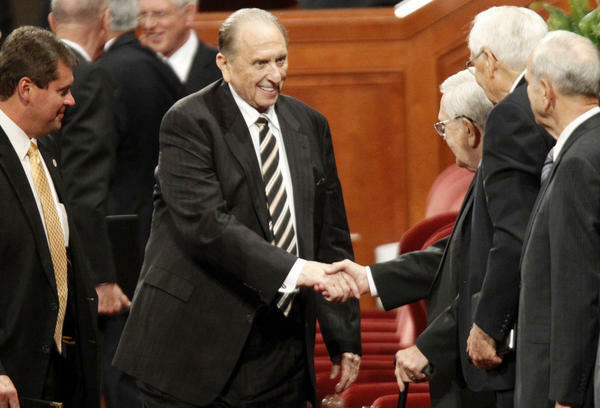 He attended lots of different churches seeking the answer to his quest for truth. If I am living righteously (not perfectly, but perfectly striving), then I have the Lord’s promise that He will lead me. As a God of truth, He cannot lie. So that must mean that I am, right now, exactly where He needs me to be! So, instead of constantly ramming my head into the wall of “Do you know me?” I have begun to ask the better question, “What would you have of me?” and the answers are coming! We all have questions and struggles that we could use more wisdom in helping us handle. Let us turn to the Lord. 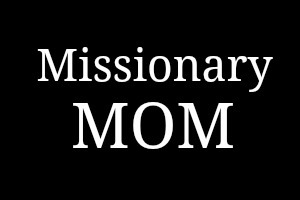 Let us better follow the Prophet Joseph Smith’s example! My missionary is asking those he teaches to ask God if the gospel is true—yet there are so many more questions we need to also be asking of our Heavenly Father! So let us ask our questions, with unwavering faith that God hears our prayers and, as we live righteously, IS answering our questions! Joseph Smith, Jr. – The First Vision The Preparing of a Prophet Pew Study on Mormons in America Do Mormons Worship Joseph Smith?